Joint pain refers to aches, discomfort and soreness in any of the body’s joints. This is a common complaint, and does not normally require a hospital visit. In most cases, Arthritis is a frequent cause of joint pain, though other factors can cause joint pain. If joint pain is caused by an injury and is accompanied by intense pain, Inability to use the joint, sudden swelling and Joint deformity, then See a doctor immediately. People with certain occupations such as kneeling, lifting heavy weights (55 pounds or more) or squatting, are more likely to develop knee osteoarthritis because of the constant pressure on the joint. People with certain metabolic disorders, such as excess growth hormone or iron overload run a higher risk of osteoarthritis. Infectious joint pain, soreness, stiffness and swelling are caused by an infectious agent such as viruses, bacteria, or fungi. This is a condition in which the protective cartilage that protects the tops of bones wears down, causing swelling and pain. Conversely, autoimmune response is caused by a systemic inflammation that makes your body to attack itself. Joint pain caused by arthritis is as a result of wear and tear over time or by injury to the joints, resulting in the degeneration of the cartilage that typically cushions the ends of the bones. Due to the degeneration of cartilage, bones will start to grindover each other during movement; leading to inflammation and pain. There are different types of joint pain. Joint pain is dependent on what causes it and there are like 100 different forms of arthritis conditions that cause joint pain. Of all the aforementioned types, rheumatoid arthritis (RA), osteoarthritis (OA), fibromyalgia and gout are the most common forms of arthritis that cause joint pain in people. Below here is a quick overview of subcategories of joint pain. This is a very common problem that affects most people at some stage in their life. It causes stiffness, aches and tension at the back. Seating awkwardly, bad posture while standing as well as lifting incorrectly, are some of the causes of back pain. Back pain can get better itself within 12 weeks. This is a familiar complaint that affects people from across all ages. Injury, such as ruptured ligament can lead to Knee pain. Physical therapy or knee braces can be used to relieve knee pain. Bone pain is as an extreme aching, tenderness or other discomfort in one or more bones. Bone pain is mostly associated to diseases that affect the normal functioning or structure of the bone. This is a common complaint caused by a wide variety of problems. The exact position of your hip pain will give you a clue on what could be the case of your pain. For instance, hip pain on the outside of your hip is normally caused by a problem with muscles. Finger pain represents any form of discomfort in the joints or tissues of the finger. With finger pain, increased warmth, soreness throbbing, aching, tingling, or stiffness is felt at the finger. In most cases, Elbow pain isn’t a serious problem, but because the elbow is useful in many ways, any pain to it can be disgraceful. Elbow pain can be felt on the inside or outside of the ankle or feel it along the Achilles tendon, connecting the muscles in the lower leg to the heel bone. Injury is the most common cause of pain in the hands, wrist and arms. Besides injury, certain activities or some health problems could also lead to hand pain. Hand pain can be sudden or rapid depending on what is causing it. Leg pain can take so many forms such as sharp, stabbing, dull, tingling or aching. Leg pain can develop suddenly or gradually, and could affect the entire leg. More-severe leg pain can affect your ability to walk or make you unable to put weight on your leg. However, some supplement such as EasyFlex can help to combat this pain. Shoulder pain is defined as any pain arising in or around your shoulder. Normally, Shoulder pain may originate in the joint itself, or may result from any of the many surrounding ligaments, muscles or tendons. With movement or activity, Shoulder pain usually worsens. Some conditions and diseases affecting your abdomen and chest may cause shoulder pain. Muscle pain (myalgia) can range from mildcases to excruciating. Though this condition improves after few days, sometimes muscle pain can go on for months. This condition can develop almost anywhere in your body, such as back, neck, legs and even your hands. Thumb pain results to pain at the base of your thumb when you grasp, grip or pinch an object in between your thumb and forefinger or when using your thumb to apply force. These activities include pulling a zipper, turning a key, or opening a jar. You may eventually experience pain when even not using your thumb. 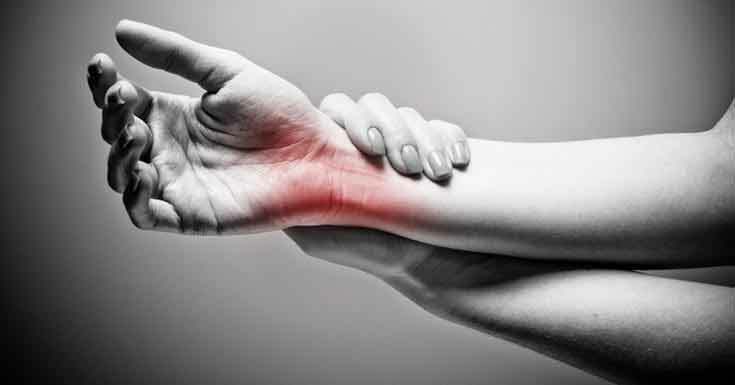 Wrist pain is often caused by sprains or fractures resulting from sudden injuries. Sometimes, wrist pain can also result from long-term conditions, such as arthritis, carpal tunnel syndrome and repetitive stress. Toe pain can arise due to abnormalities or injuries to any of the structures in the toe, such as bones, blood vessels, skin, nerves and soft tissues. Normally, Toe pain is a common symptom since our feet are constantly exposed to injury when walking and moving around. Foot pain can be caused by a wide range of causes. See your GP if your foot pain is severe or persistent. Some health conditions and wearing uncomfortable shoes could cause foot pain. Neck pain is very common and could result from strains due to bad posture such as leaning to your computer. Wear and tear arthritis could also be the cause of neck pain. Spine painoccurs when one vertebra of the spine slips forward over the one below it. As a result of this, lower back pain and/or leg pain could be felt. In most cases, it occurs in the lower levels of the spine. Nerve pain can take many forms such as tingling, electric, burning and pins-and-needles. You could not be alone if you are experiencing unknown nerve pain. Millions of people have unexplained nerve pain. 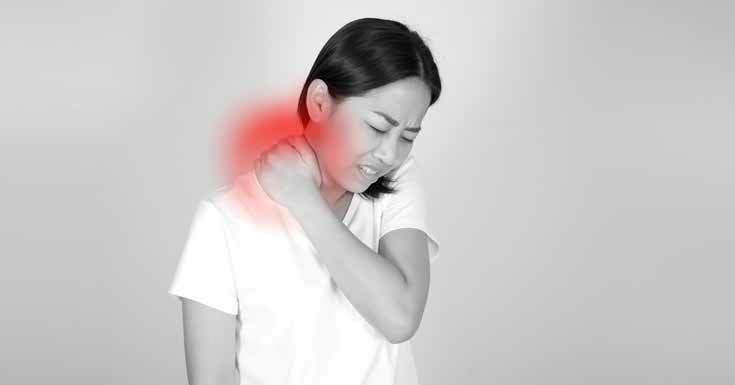 Known Causes of Nerve Pain include damage to the nerves, some medical conditions, toxins and drugs. Rib cage pain may be dull, sharp or achy and is normally felt at and below the chest as well as above the navel on either side. An injury can lead to rib cage pain or can be caused by anything ranging from rib fracture and pulled muscles. At times, it could be as result of underlying medical condition. Jaw pain is any form of discomfort or pain in the jaw area, including the lower temporomandibular joint as well as surrounding soft tissues. The temporomandibularjoint is one of those joints frequently used joints in the body. But if your doctor suspects of a possible infection, Lab tests will be carried out to see what could be causing that pain. In this case, blood tests and at times arthrocentesis procedures are carried out. A cold temperature reduces blood flow, and therefore reduces tissue swelling. Bathing with Warm water will ease pressure on muscles and joints. According to various studies, regular massage therapy on a painful joint could reduce pain, lower anxiety and improve the strength for grip. Medications for pain are so many. Some types of pain medications are actually a combination of drugs that work together in order to relieve pain. You can get some pain medications without prescriptions available over-the-counter, such as acetaminophen, ibuprofen, aspirin and naproxen. Others with prescription can also be found over-the counter as well such as narcotics oxycodone, propoxyphene and codeine. 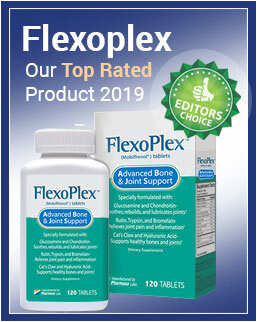 But if you want to deal with your joint pain quickly, with an assurance of healing your condition; then you need a dietary supplement known as FlexoPlex. This is a dietary supplement made of all natural ingredients, all designed to improve the painful sensation for those suffering of joint pain. Flexoplex works to rebuild and repair damaged joint cartilage as well as helping to reduce pain and inflammation. You can purchase Flexoplex through the official website of the product for around $39.95 per bottle. Take Natural herbal mixtures, i.e. herbal teas; these are an excellent means of alleviating knee, hip and other joint pains. Simple cold and hot treatments can make a big difference when it comes to arthritis pain management. Very Long, warm baths-mainly in the morning will ease stiffness in your joints. Use a heating pad at night to keep your joints loose. Cold therapies are best for relieving joint pain. Alternative medical treatments such as Bikram yoga and acupuncture can enhance the range of movement of your joints, as well as helping to alleviate pain and preventing it. If the pain is too severe, try to immobilize the area with a brace or splint. However, this should not be done in all cases, but should be done only if the pain of movement is too severe to bear. Having plenty of rest and relaxation is one of the best ways of alleviating joint pain. Relaxation and rest restores energy as well as allowing the body to repair itself naturally. Joint pain is a complex health problem and often requires guidance from a nutritionist. Taking a quick step to addressing any form of joint pain will make you avoid the risk of developing possible complications.